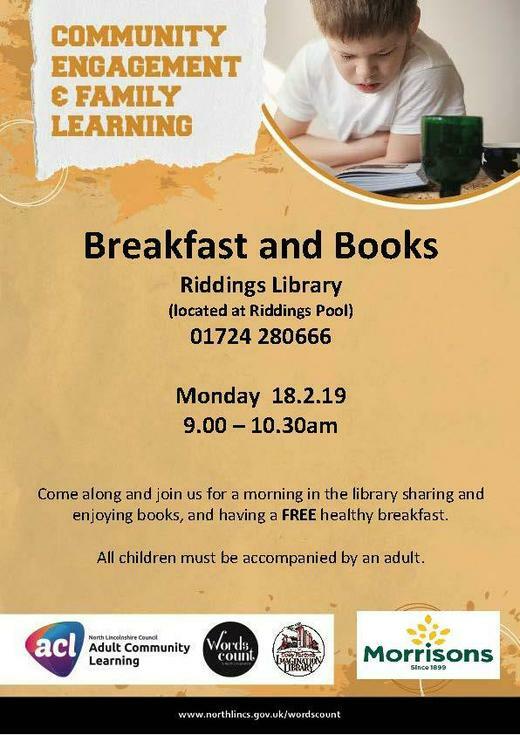 The Breakfast and Books sessions are available again during the February half term holiday. They provide an opportunity for families to access the library, enjoy some time sharing books and enjoy a FREE and HEALTHY breakfast. See the poster for more details.